"American holly tree on the southwest corner of Wright Hall, 1975" by L. Michael Hill Ph.D. 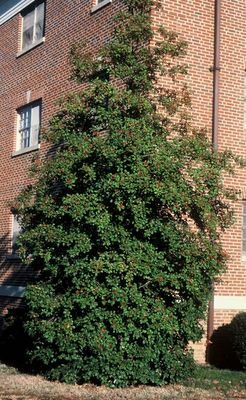 The American holly tree, Ilex opaca (Aquifoliaceae) on the southwest corner of Wright Hall, 1975. There are holly trees all over campus.